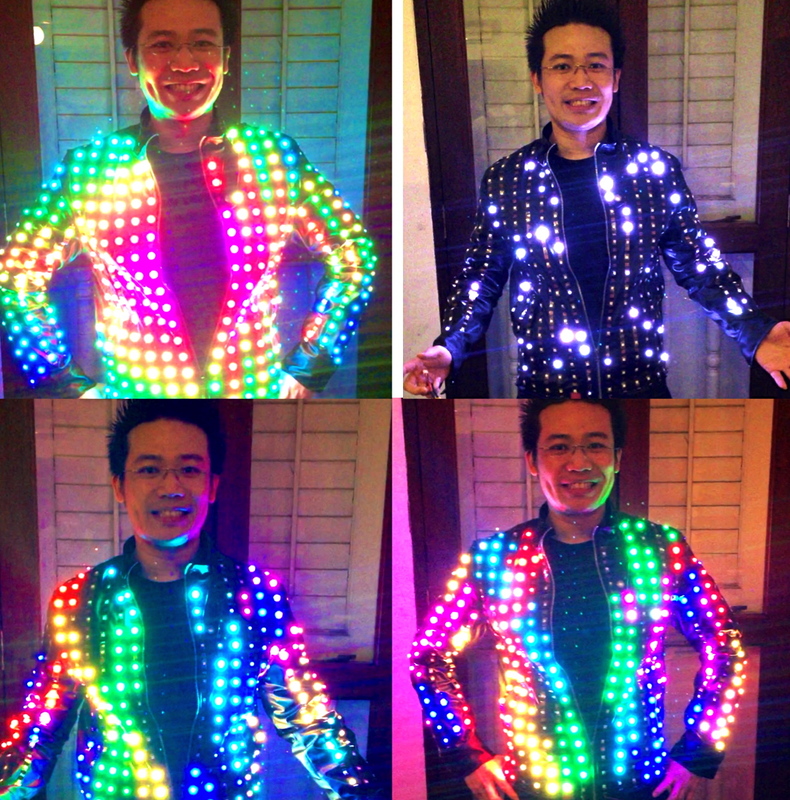 Kiki Tay's Blog: My New LED Jacket! It's been a long time since I added lights to a new costume. 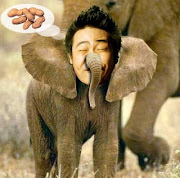 This time I'm going all out! This was a vision of mine for many years but it is only until recently that I got the time to finally put it into action. I wanted to go beyond just simple LED animation into a full blown networked LED system with video capability! From research to fabrication to mapping and programming, it took almost 100 hours! A total of 638 RGB LEDs, each with its own microchip that allows it to be individually addressed. The whole setup draws up to 38Amp! Just figuring a way to produce and manage a current so high was a great challenge by itself. Fortunately I developed a method to power the entire unit using just a tiny 3S Lipo (Lithium-Polymer) battery. I managed to design the entire control unit plus power system small enough to fit inside a pocket. After all, who wants to wear a costume that requires you to carry a generator, plug into wall supply or connected to a computer? The mapping and programming itself gives a whole new set of challenge. While as impressive as it looks, this is still just a prototype and far from being ready. There are still a lot improvements to be done before it can be ready for show. Look out for new updates coming soon!